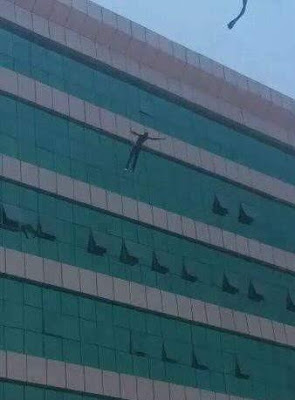 A man allegedly committed suicide by jumping from the roof top of Kamar Kazum Plaza in Apapa, Lagos to his death. We can’t confirm this report yet and the Facebook user Rabiu Biyora, who posted it didn’t say when or where the incident happened but someone in the comment section mentioned the location above. 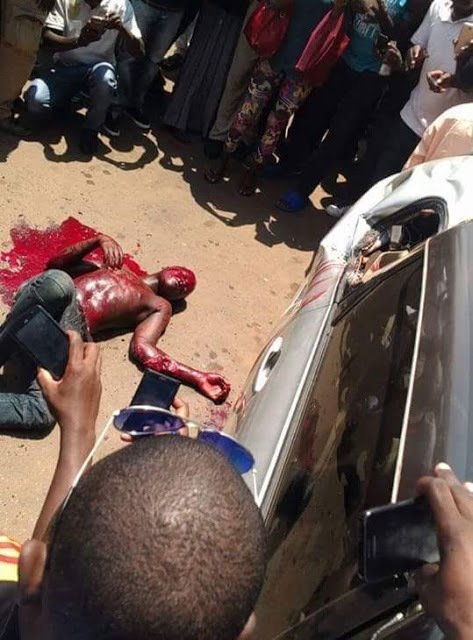 What a terrible way to die.. Buhari have u seen what you’ve done?.. Too much hunger and suffering in the land. His blood will be on your head. The Ibo man had succeeded in dieing wrongfully.